I love driving, so as honeyb.. We used to go out of town atleast twice a month when we were still dating.. usually it was always unplanned. We still drive around though but we rarely go out of towns because of our lil girl.. We just drive around and go somewhere.. Sometimes out of blue, we go out and just drive around the city, have take out from different food chains such as mcdo, moss burger, foods from convenience store... well Starbucks drivethru is my/our favorite.. Speaking of driving, I'm really looking forward to finally get a Japanese License this year. IDL is not acceptable anymore.. They say it's not that easy to get it, the exam is so tricky and there are rules and processes to follow. NO PAIN NO GAIN. Goodluck on your driving lesson Bams. Love the photos. such a cutie and a fashionista ni bebe mo sis! :) love all the photos :) good luck on gettin your own drivers license! good luck palagi sa iyo.. Cute pictures! Your kids are having lots of fun! 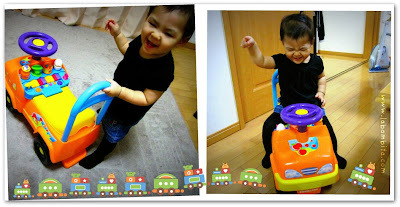 Nice toy car! burn in your hearts. Thanks for the post. God bless you all always. Cute Azumi! She's growing fast isn't she? Ay, hindi na pwede ang IDL or in Japan only? Good luck..you can do it! Have a happy weekend Bams, thanks for the comments! wow nag da drive k n b sis? ehhehe ako katatapos lng driving lesson but still cant drive alone hehe kelngn practice pa!! 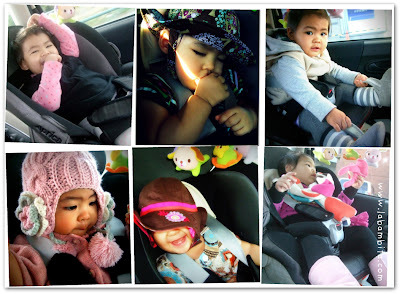 Buti na lang hinde hate ni lil Anzu ang child seat--si Wakaba dati(a year older) grabe ang iyak pag nakatali sa child seat.Pero hinayaan namin hanggang sa masanay cya-ok naman na months after. 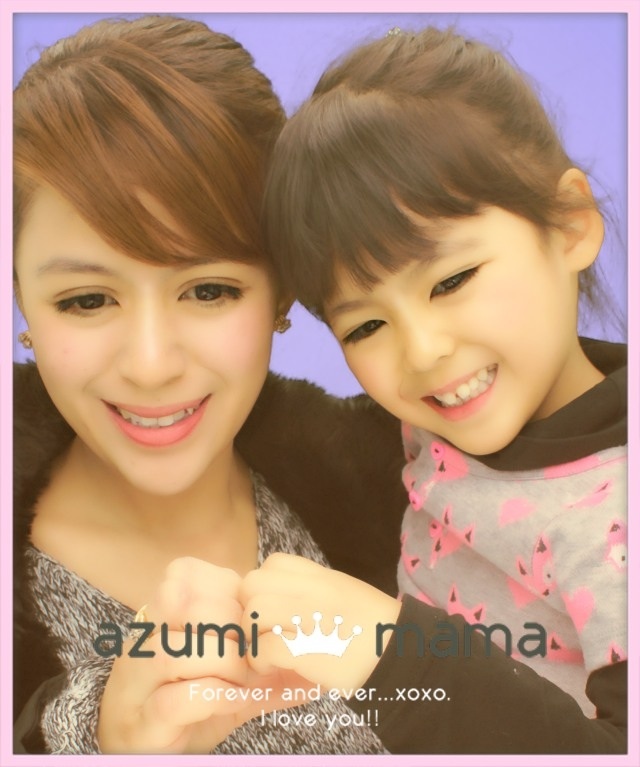 Love your collages--different face expressions of Azumi chan!Kawaii! go go go! i know you can do it! :D and as always, the pictures are wonderful! :D happy mommy moments!